Although we like to believe that all job candidates are honest about their past experience and education, it’s unfortunately not the case. Resume fraud is rampant in today’s marketplace – from the CEO level to college graduates – and it’s important for employers to know who they are hiring. Employment verification, reference checking and background screening are critical steps in the hiring process. These are a necessary investment that every company should make to protect itself from liability. The cost of a bad hire, whether fraudulent or just a bad fit, is quite high. You will have spent money on training and compensation. Mistakes, missed deadlines, alienated customers, theft, damaged equipment, and trouble with other employees can be costly and lawsuits are a possibility. Solving these problems can use up valuable time. Then there are the costs associated with terminating employment, re-advertising and re-filling the position. Meanwhile, customers flee and profits dwindle. Hire Image has a network of resources, and a systematic process for verification and contacting and interviewing references with our team of skilled employment professionals. We verify through proper channels that all information provided by the candidate is accurate and truthful, and that the reference they designated is legitimate. You do need to know if the prospective employee was actually employed in the specified position, at the stated salary, and for the dates claimed. You also need to know under what conditions the candidate left and ascertain that there are no contractual stipulations that would affect their ability to perform at your company. Most references will provide these answers. Hire Image is experienced at handling all of your verification needs, especially when a reference is not willing to volunteer information. Asking the right questions can often elicit helpful information. Did the reference truly work with the applicant, or is he family or a friend? According to HR.BLR.com, one applicant actually included her dog as a reference! High unemployment and fierce competition are among the motivations for people to fabricate skills and credentials. Some lie to hide criminal activities. Chicago University economics professor and coauthor of Freakonomics, Steven D. Levitt, cites research suggesting that more than 50% of job applicants lie on their resumes. Other sources indicate that at least 30% of all job applications contain lies. Imagine the repercussions if you hired a bookkeeper claiming to be a CPA who really wasn’t. How long would it be and how many mistakes would be made before the ruse was discovered? The damages, resulting stress, bad publicity and cost of legal liability could close the doors on your business for good. Does Education Verification Really Matter? 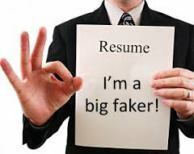 The National Credit Verification Service reports that 25% of the MBA degrees it examines on resumes are false. 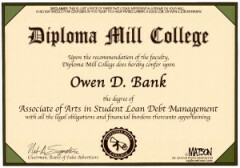 People often claim they have a high school diploma, undergraduate or even graduate degree that they did not get, or claim degrees from bogus institutions. You could be at risk of litigation for “negligent hiring” if your employee is one of them. Hire Image can make sure they attended an accredited school and were awarded the degree in the field specified. We contact educational institutions and student record clearing houses and confirm accreditation with the U.S. Department of Education and other accrediting organizations to verify educational credentials. We check with state boards and licensing agencies and organizations to ensure any professional license claimed by the applicant is current and in good standing. It is vital to keep proper records and to stay within legal guidelines when researching employee backgrounds. You could be sued for negligent hiring or for discrimination if you cannot document your process. We keep meticulous notes of all phone calls and file all letters and records, as well as notes of any unsuccessful efforts to contact references or information – and we encourage our clients to do the same. This documentation should be retained for at least one year whether or not the individual is hired. The Equal Employment Opportunity Commission (EEOC) considers reference check documents as legal records of hiring decisions. 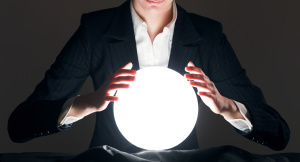 The bottom line is, your bottom line will benefit from a thorough background screening of all potential employees. There are many beliefs about background screening that make conducting one seem costly or time-consuming. However, what many business people don’t know is that these beliefs oftentimes are myths brought to light based on misconceptions. In truth, background screenings and verifications are a necessary investment that every company should make to protect itself from liability. With the recent scandal in the news involving Yahoo CEO Scott Thompson’s incorrect academic degree, the issue of board liability comes to mind. Is the Yahoo board responsible for the alleged ‘falsified resume’ of Mr. Thompson? Who is to blame? What could the board have done to prevent this from happening in the first place? In fact, this is exactly the type of ‘battle’ that some investors may seek. Shaking up a board and distracting it from its operational focus can be just what an investor needs to win board seats in a proxy fight or bring forced change in management by devaluing the stock price. If a proper background screening had been conducted, this whole situation could’ve been avoided. A ‘proper’ background screening should cost a mere pittance compared to the costly legal bills Yahoo is facing, not to mention the PR damage now done to its reputation and credibility, or the blow to its stock price affecting shareholders. A screening isn’t something that can be as simple as a Google search of the party in question. It should include further steps such as verifying employment and academic credentials, as well as a criminal check at multiple court levels. This type of screening should be left into the capable hands of a third party, background screening professional. 1. Conduct background checks on all applicants. It should be a matter of course or policy for all boards of directors – whether for nonprofit, academic, institutional, or for-profit organizations – to conduct such screenings of all applicants for any level job position. 2. Perform education and employment verifications. A simple call to Stonehill College to verify Mr. Thompson’s academic credentials would have revealed an error in his resume (intentional or not), before he became CEO. Not after the fact, when shareholder and legal issues arise and have to be dealt with. 3. Review screening reports at board meetings. Don’t take management’s word for it. Boards should verify that proper background screenings are being conducted. It’s the directors that will be held liable or accountable for misconduct or that will have to answer to alleged ethical breaches – not your organization’s staff. Be sure that you have reviewed the reports with your own eyes. 4. Use a professional background screening agency. Working with a professional agency will help your organization to be in compliance with Equal Employment Opportunity Commission guidelines, Fair Credit Reporting Act regulations, and other rules that can help limit your liability exposure. At Hire Image, we work with employment attorneys and law enforcement officials on a regular basis, and our screenings include not only the ‘usual’ database searches, but access to other sources, including ‘in the field’ investigative services. We are a nationwide company, and this is all we do. An ounce of prevention can go a long way in avoiding trouble at your organization and costly lawsuits. Don’t skimp when it comes to background screenings – and don’t assume that they aren’t needed at the C-suite level. It could be the most costly mistake you could make.